Our hoop earrings come in small, medium and large and are designed in different colors and bead types to match a variety of styles. 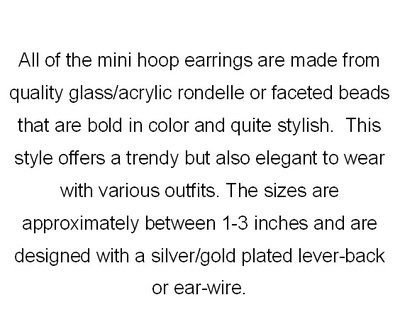 The casual style collection can be worn with any outfit for any occasion. The new gallery add-on beside each picture allows you to see the color selections for the earring styles of each category. 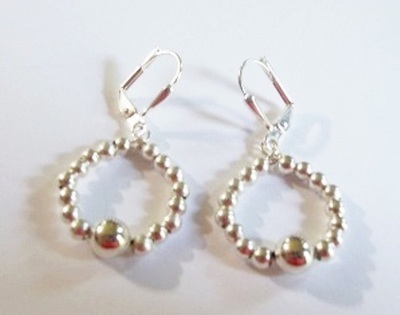 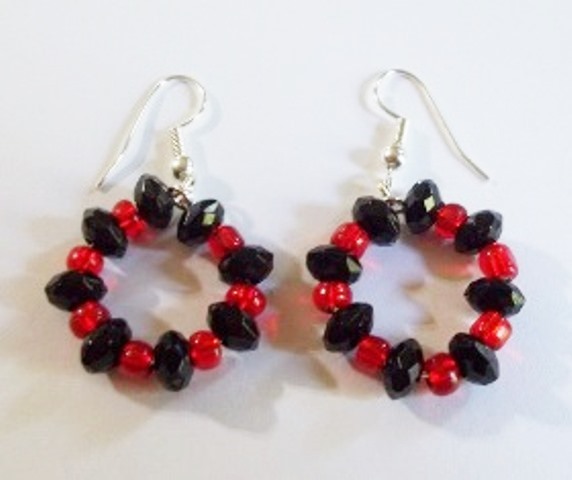 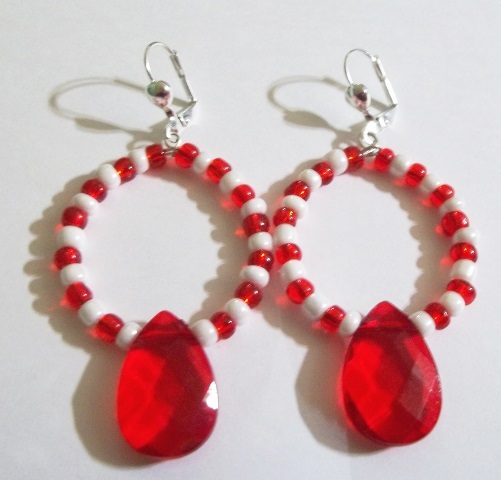 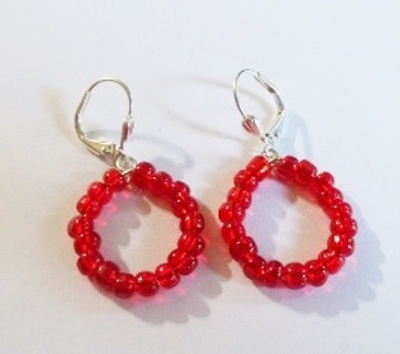 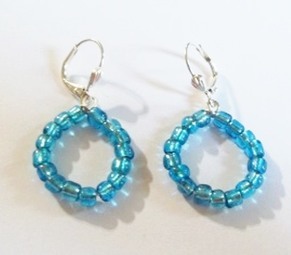 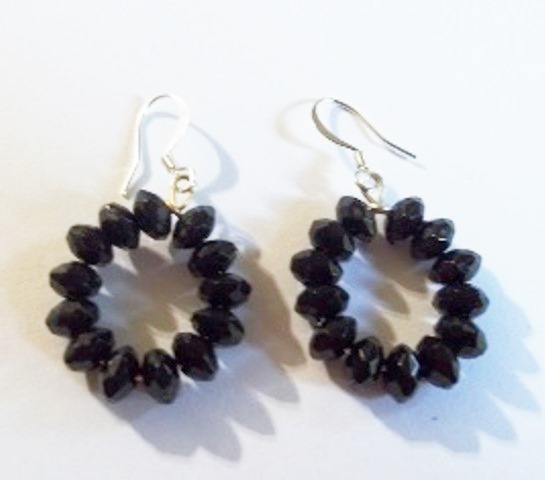 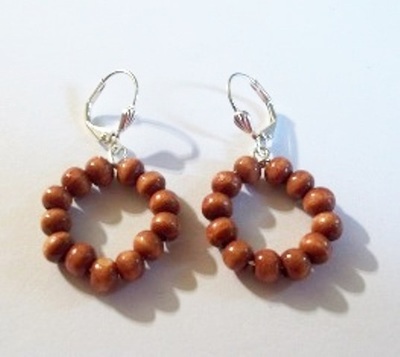 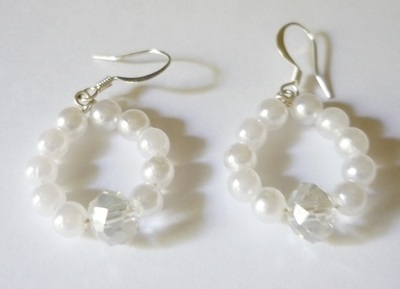 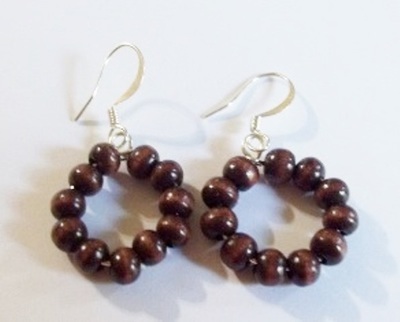 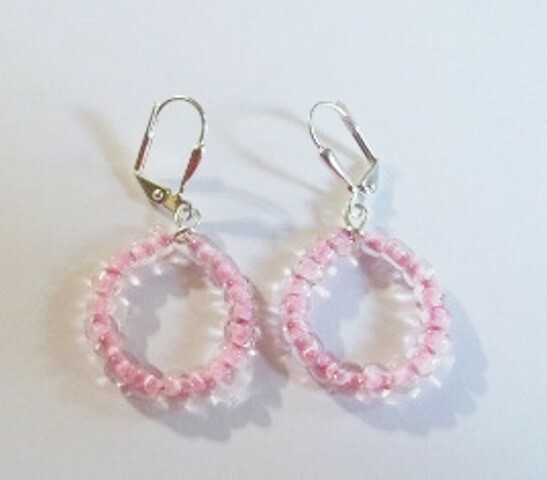 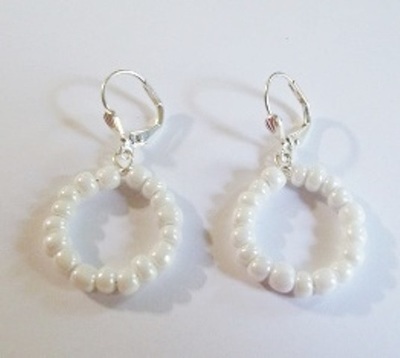 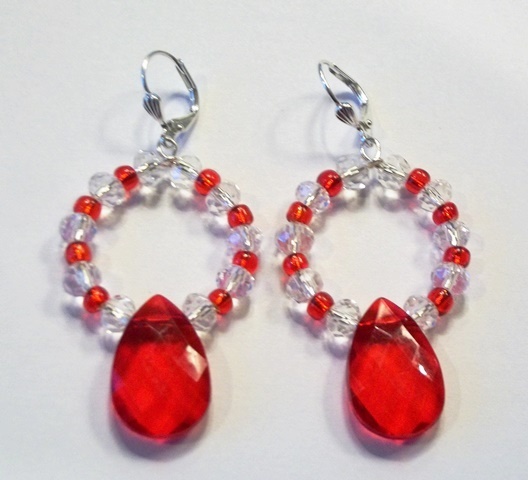 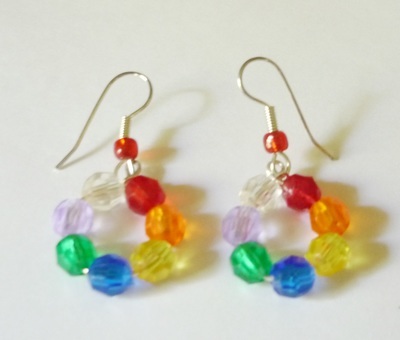 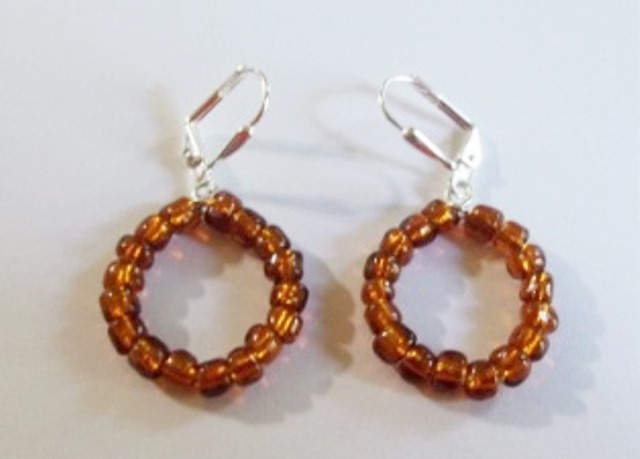 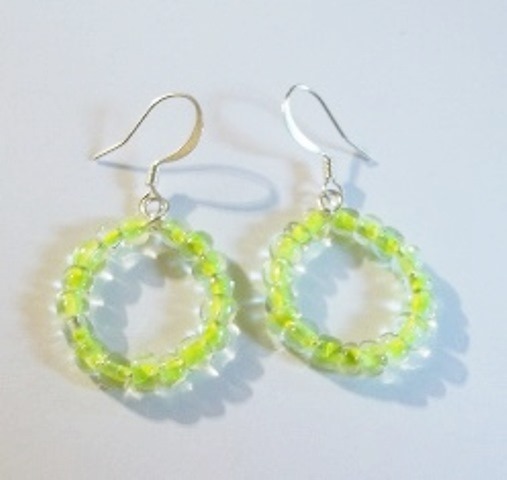 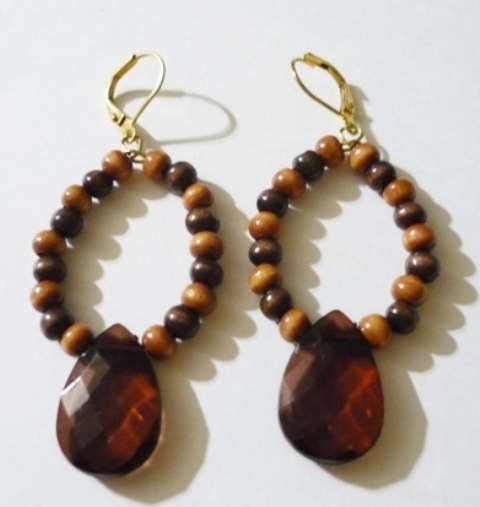 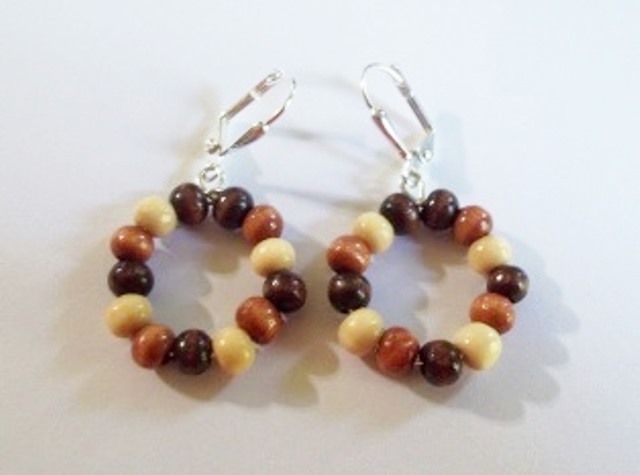 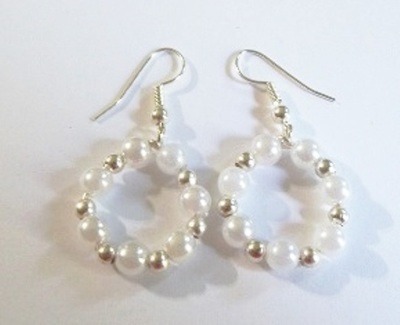 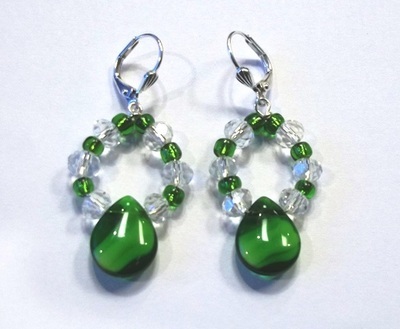 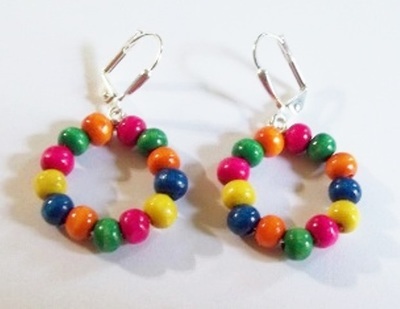 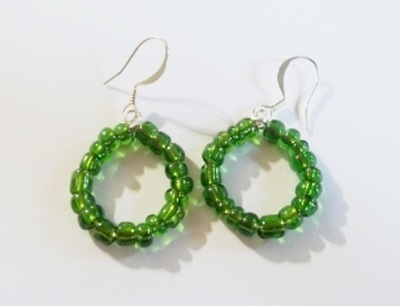 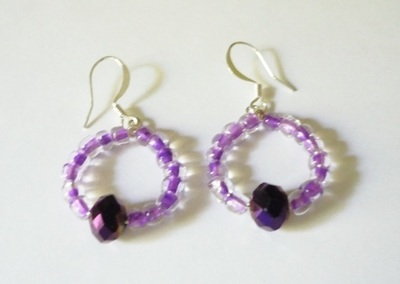 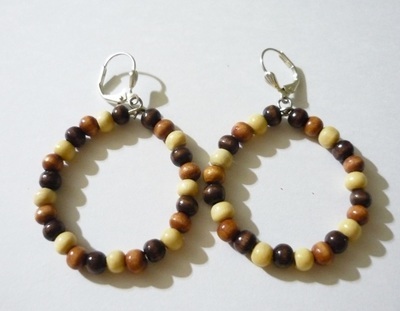 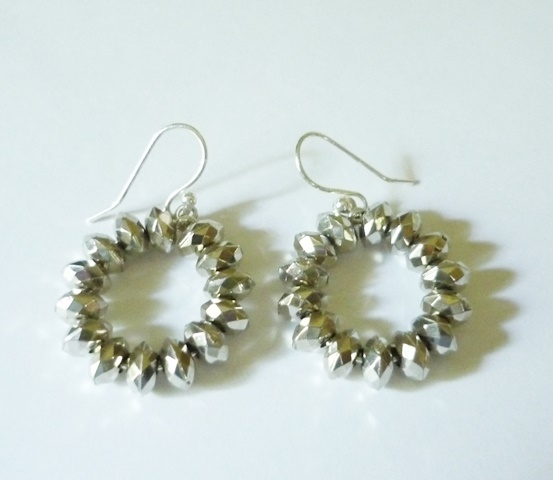 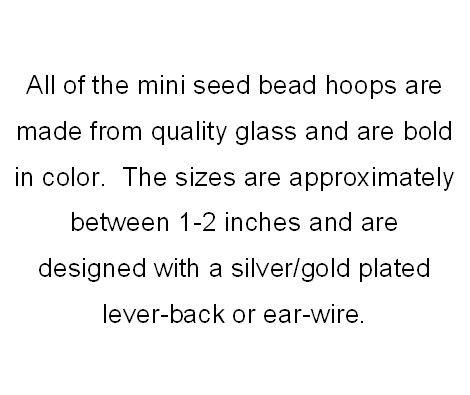 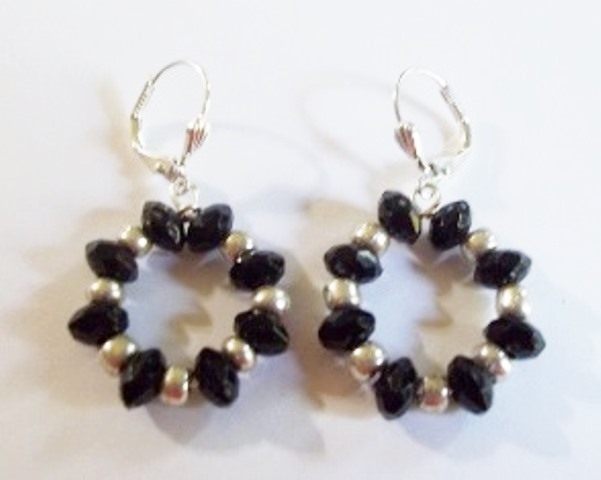 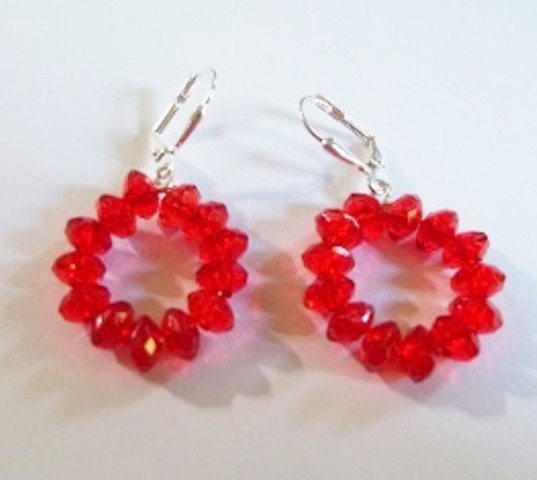 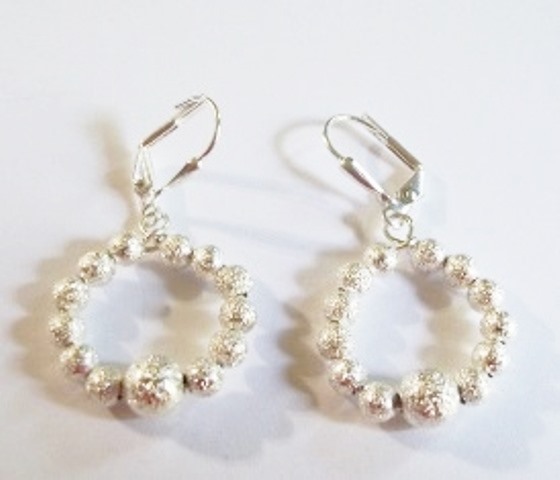 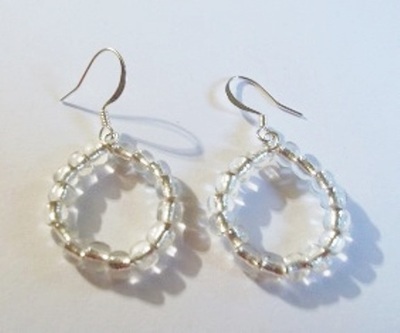 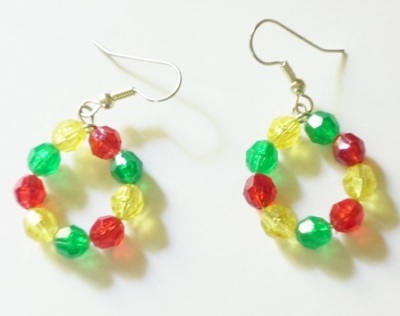 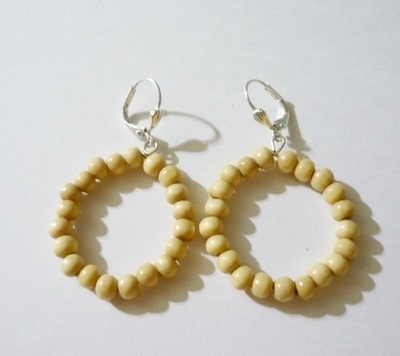 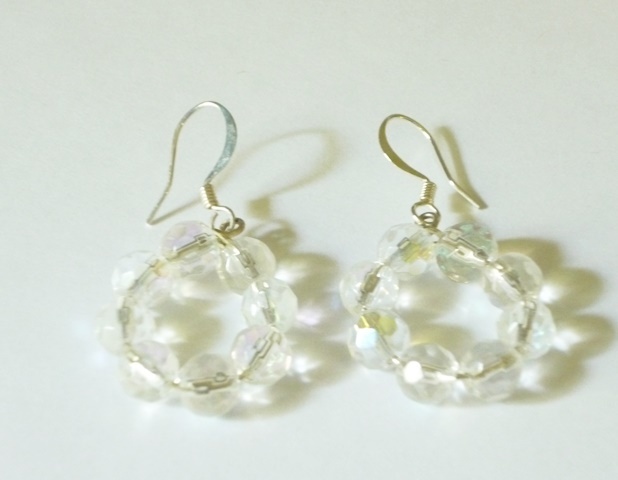 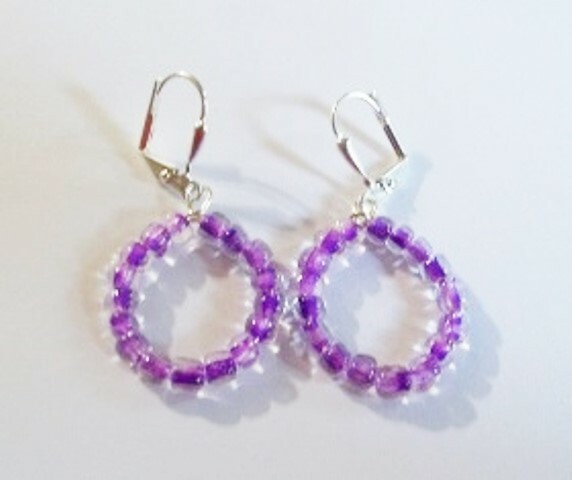 Click on any image below to see the gallery of choices for Mini seed bead hoops earrings. 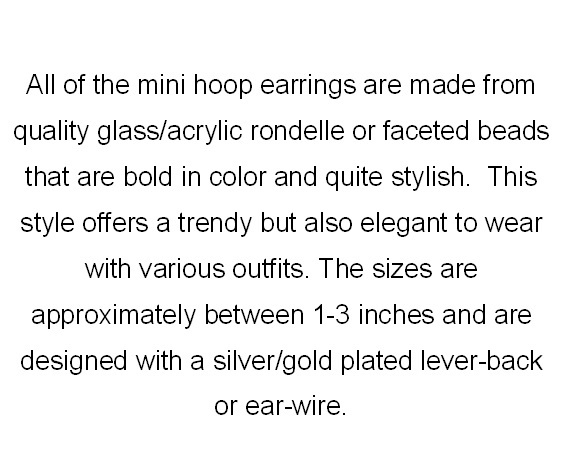 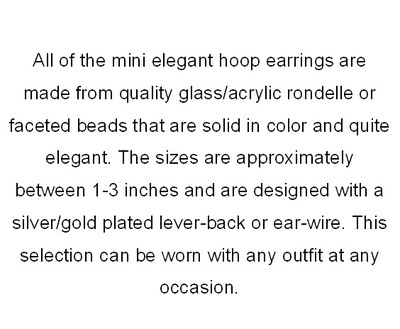 Click on any image below to see the gallery of choices for Mini Hoop earrings. 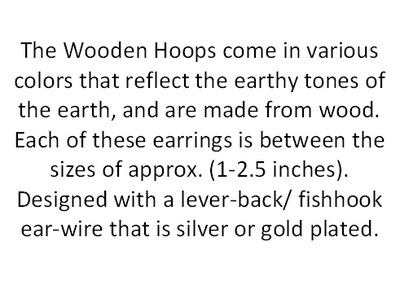 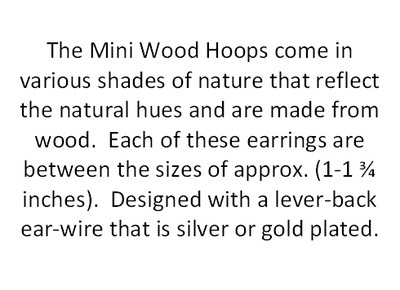 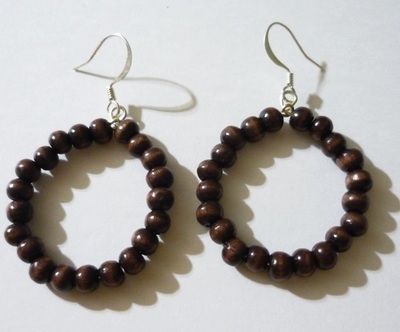 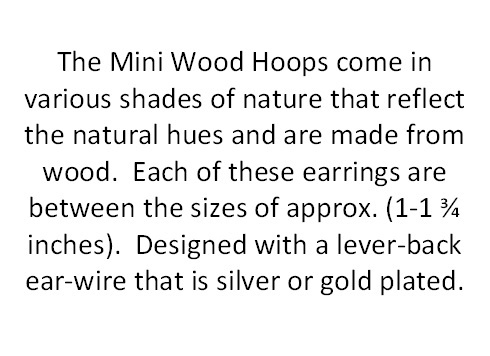 Click on any image below to see the gallery of choices for Mini Wood Hoop earrings. 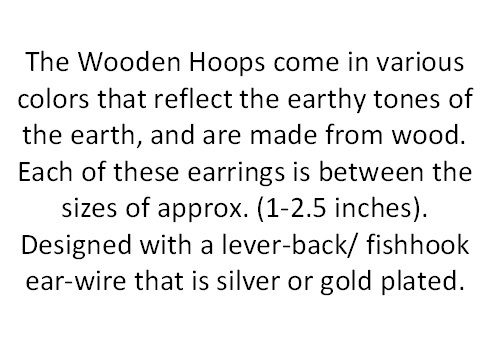 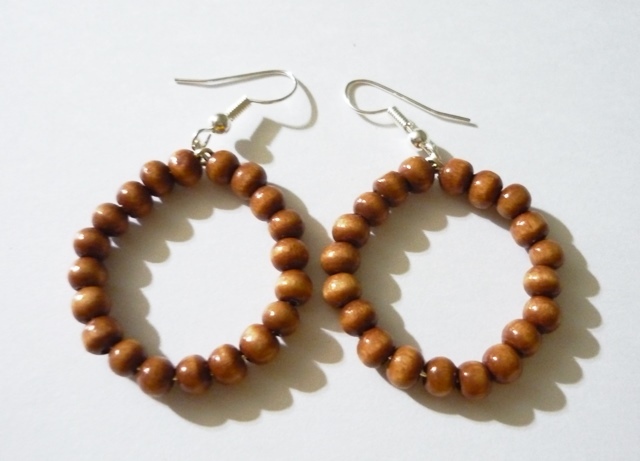 Click on any image below to see the gallery of choices of Wooden Hoop earrings. 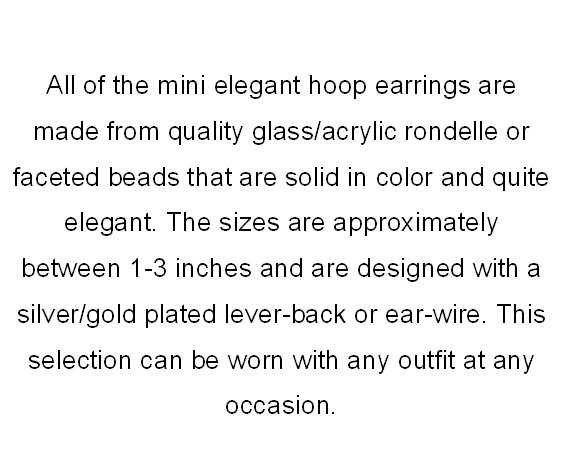 Click on any image below to see the gallery of choices of Mini Elegant Hoop earrings. 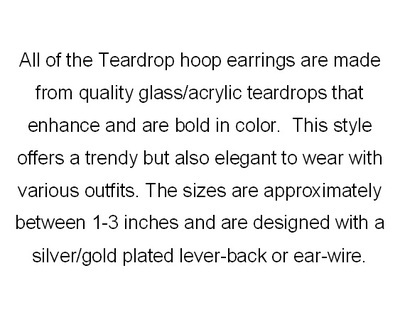 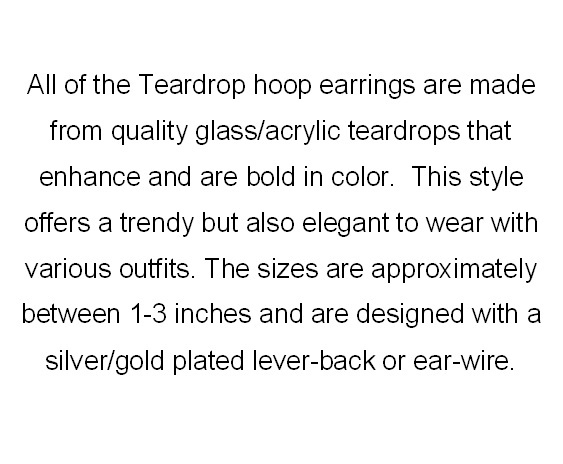 Click on any image below to see the gallery of choices of Teardrop Hoop earrings.